The Religious Tourism and Heritage committee has been constituted by Prime Minister Imran Khan that will work for the religious tourism in the country. Governor Punjab Chaudhry Muhammad Sarwar will be the head of the said committee while members from both the federal and provincial cabinets will work as the members of the committee to promote the religious tourism in the country. “Federal minister for Railways Sheikh Rasheed, Federal minister for Education and Professional Training Shafqat Mehmood, Federal minister for Religious Affairs Noor-ul-Haq Qadri, Punjab’s minister for Tourism Raja Yasir Humayun, provincial finance minister Makhdoom Hashim Jawan Bakht and provincial minister for religious affairs Saeed-ul-Hasan Shah will work as the members of the committee and PM Imran Khan has nominated me as the head of the committee,” Governor Punjab revealed on Wednesday while talking to a group of journalists from English media here at Lahore’s Governor House. 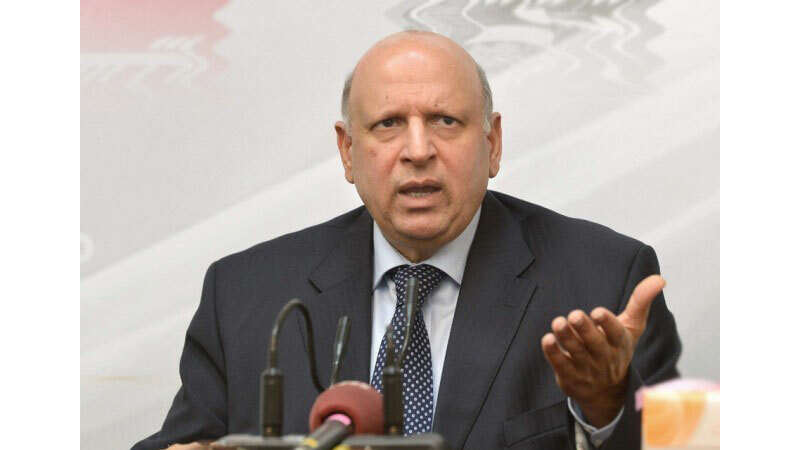 The committee will work for the tourism of all the religions including Sikh, Buddhism, Christianity and Hinduism as Pakistan has a rich heritage of major religions, said Sarwar. He was of the view that we have rich heritage sites of Buddhism in Taxila and several religious heritages of Sikh religion are also here in Pakistan so it would help a lot in promoting the religious tourism in the country. According to Sarwar, the government is trying to connect the Gurdwaras of Pakistan with other Gurdwaras of Sikh religion situated in different cities of Europe including London, Glasgow and Birmingham to send a good message abroad. It is pertinent to mention here that Sarwar has previously worked as a member of British parliament and still enjoys good relations there. “A special tunnel is being constructed from the railway track to the Gurdwara of Baba Guru Nanak in Nankana Sahib for the Sikh devotees where they will get state-of-the-art facilities,” said Governor. It would be 672 feet long tunnel that will completely be constructed from the donations, added Sarwar. Talking about the Kartarpur corridor, Governor Punjab said that Narendara Modi had to bow down due to the pressure of Sikh community living worldwide and now India has also agreed for the corridor but it will always remain part of the history that Pakistan took a lead in this noble cause. Talking to the journalists, Sarwar said that any aggression from India cannot be ruled out till the elections are held there as Modi can go to any extent and misadventure in a bid to win elections. “Pakistan fought with India on three fronts recently; Political, Diplomatic and Military and we remained victorious on all the fronts due to our diplomatic efforts,” said Sarwar. I wrote letters to members of British parliament regarding the Indian aggression and got very positive response from them who agreed with our point of view in the recent developments, he added. According to Sarwar, he doesn’t have any difference with the Chief Minister Punjab in matters related to the province as he said that he himself is too much busy that he cannot find any time for such things. “The Aab-e-Pak Authority bill has been passed by the assembly and it will soon start working and I’ll be more busy then because it is my mission to provide the clean drinking water to my people,” said Governor. Published in Daily Times, March 14th 2019.